VRMark is a relatively new benchmark aimed at those that might be thinking about buying an HTC Vive or an Oculus Rift and knowing what hardware will give them the best VR gaming experience. 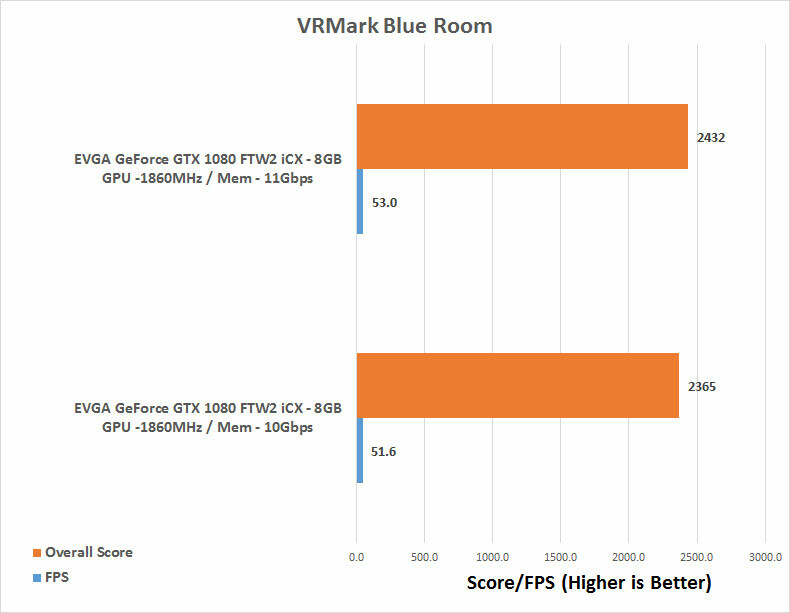 VRMark includes two VR benchmark tests that run on your monitor, no headset required, or on a connected HMD. At the end of each test, you’ll see whether your PC is VR ready, and if not, how far it falls short. 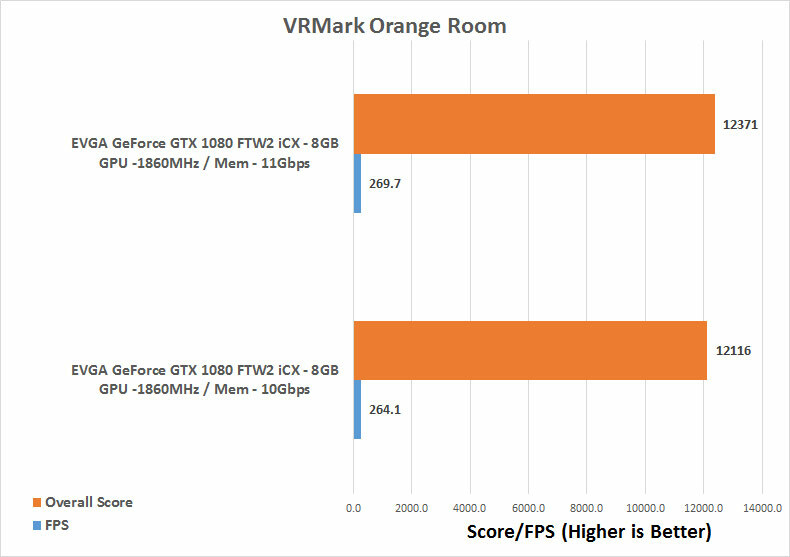 The Orange Room benchmark shows the impressive level of detail that can be achieved on a PC that meets the recommended hardware requirements for the HTC Vive and Oculus Rift. 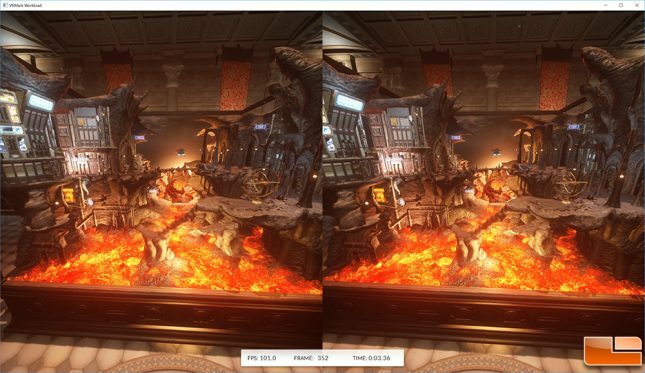 If your PC passes this test, it’s ready for the two most popular VR systems available today. The orange room rendering resolution is 2264 x 1348, which is 1132 x 1348 per eye and the target desktop frame rate is 109 FPS. Benchmark Results: The GeForce GTX 1080 easily scores over 109 FPS on this benchmark, but we’ll still take the 2% performance boost for free. 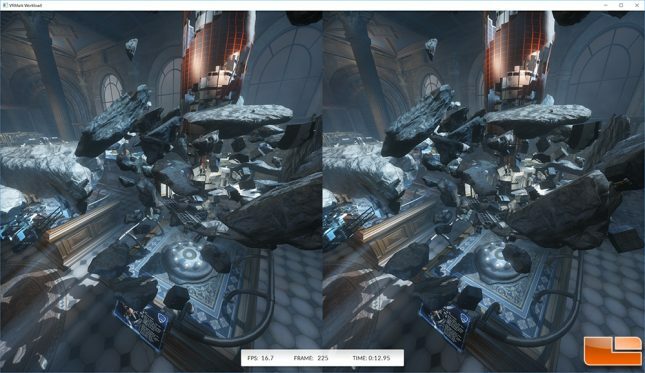 The Blue Room is designed to be a more intense test with a rendering resolution of 5012 x 2880 (5K) and the goal is for a desktop PC to maintain a consistent frame rate of 109 FPS or above without dropping frames to pass this test. Benchmark Results: Moving up to 11GHz memory on the GeForce GTX 1080 won’t get us to the 109 FPS performance threshold, but we’ll take the extra 2.7% performance boost.